What better way to honour all of those affected by breast cancer than with beautiful pink blooms! 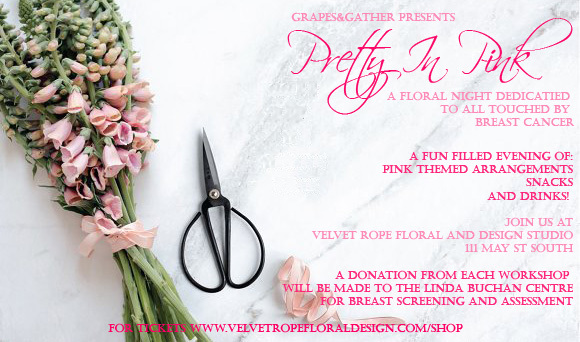 You will join us at our design studio 111 May St South for this 2 hour session, celebrating all the beautiful women who have stood up to this disease and sharing in the memory of those no longer with us. CLICK HERE FOR TICKETS. SPACE IS LIMITED!